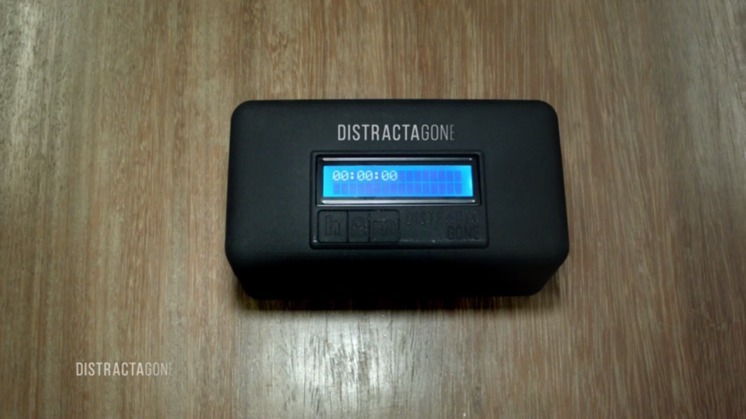 DistractaGone is fairly easy to use. Just open the lid, place the phone inside, close it up and set the number of minutes or hours you want to keep it locked up for. After you press the lock button, you have five seconds to cancel, after which the only way to access the phone until the set period of time expires is to brutally force it open. 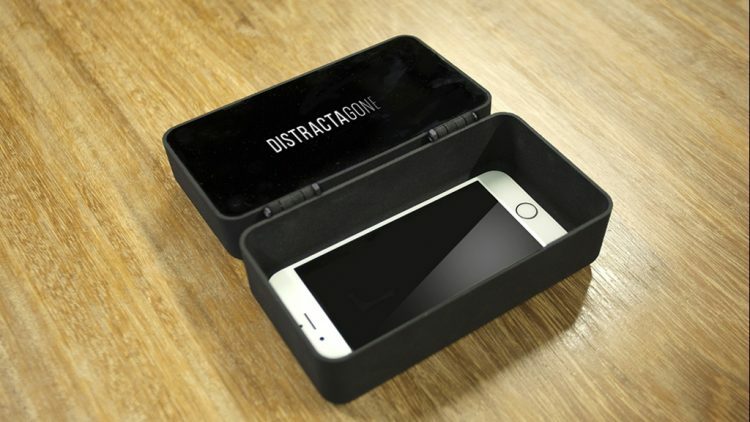 Its makers, a team of designers from Amsterdam, claim that DistractaGone helps user find some peace, focus on their work and enjoy the company of friends and family. The smart box is currently only a prototype, but the team behind the project is currently running a crowdfunding campaign on Kickstarter to make it commercially available. They’ve raised €3,000 or their €40,000 goal, but with 29 days left to go, there’s still hope for a solution to smartphone distractions.